Hey folks, it's cool to share news and stuff, but please at least take a moment to write a little bit about what your link contains. Don't be so lazy. Watsisname, ok sorry, will do it next time! Merged your thread with this one since we have a thread specifically for Exoplanet news. I'm not sure if this planet was mentioned here yet, but it's quite interesting. I might of found one with the transit method, as shown here; I highlighted the transits. Hmm... there seems to be a debate on whether Gliese 581 g and d exist. I don't believe that planet g exists, but I pray for planet d.
meet the newly found earth like planet: and the first to dicovered orbiting sun like star! It's the smallest exoplanet discovered to date discovered orbiting in the habitable zone of a G2-class star, just like the Earth and the Sun. 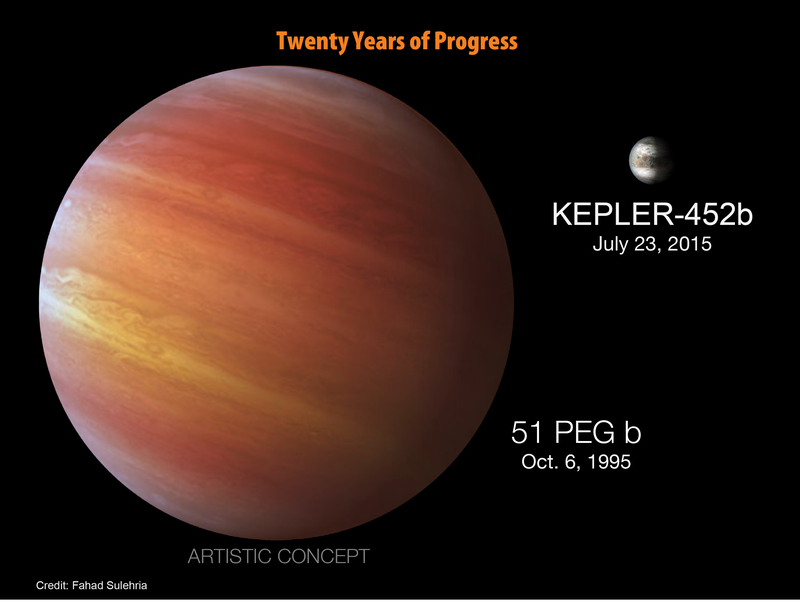 Kepler-452b is 60 percent larger in diameter than Earth and is considered a super-Earth-size planet. 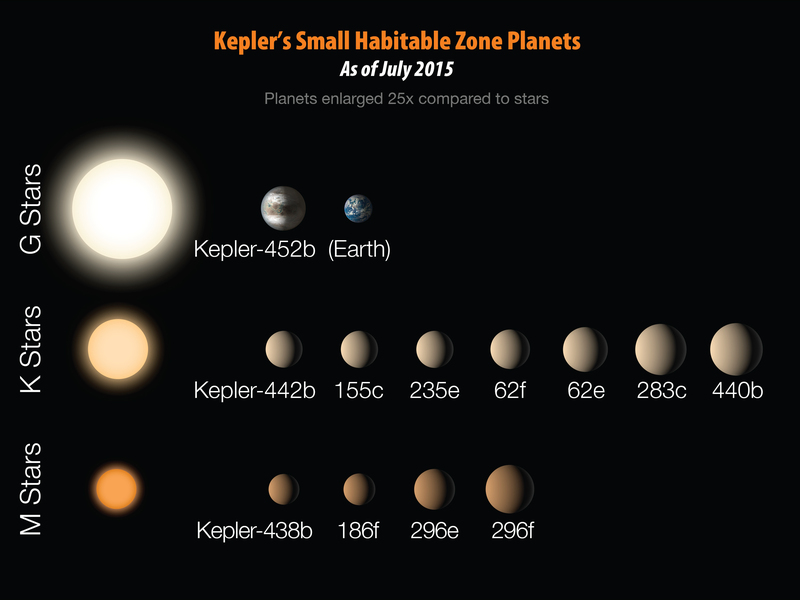 While Kepler-452b is larger than Earth, its 385-day orbit is only 5 percent longer. 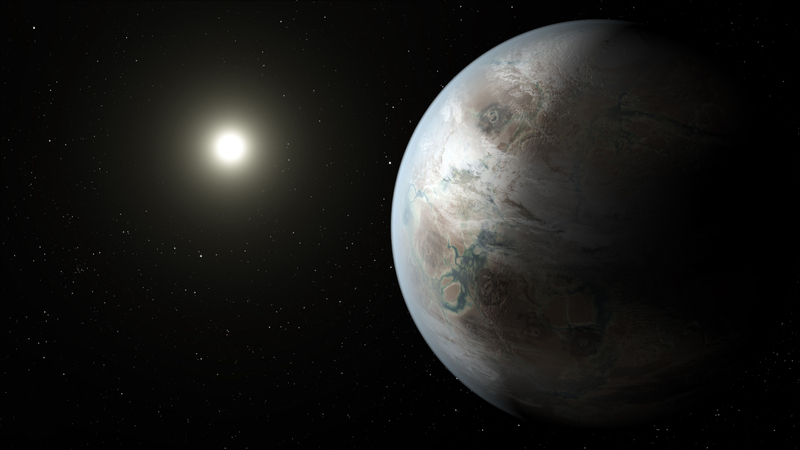 The planet is 5 percent farther from its parent star Kepler-452 than Earth is from the Sun. 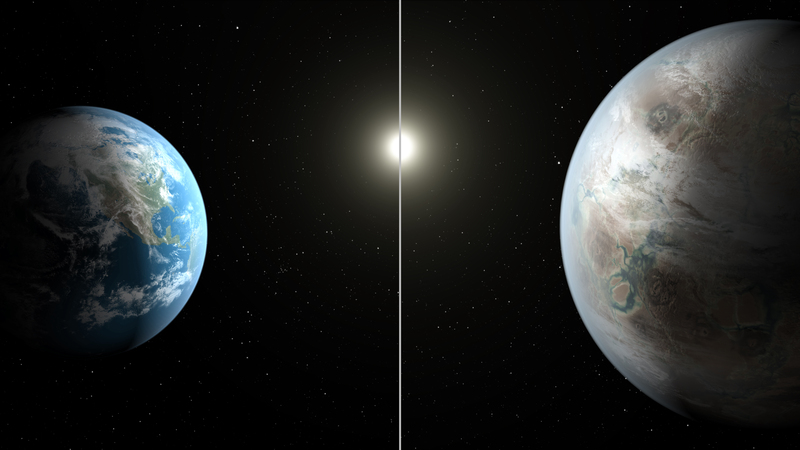 Kepler-452 is 6 billion years old, 1.5 billion years older than our sun, has the same temperature, and is 20 percent brighter and has a diameter 10 percent larger. 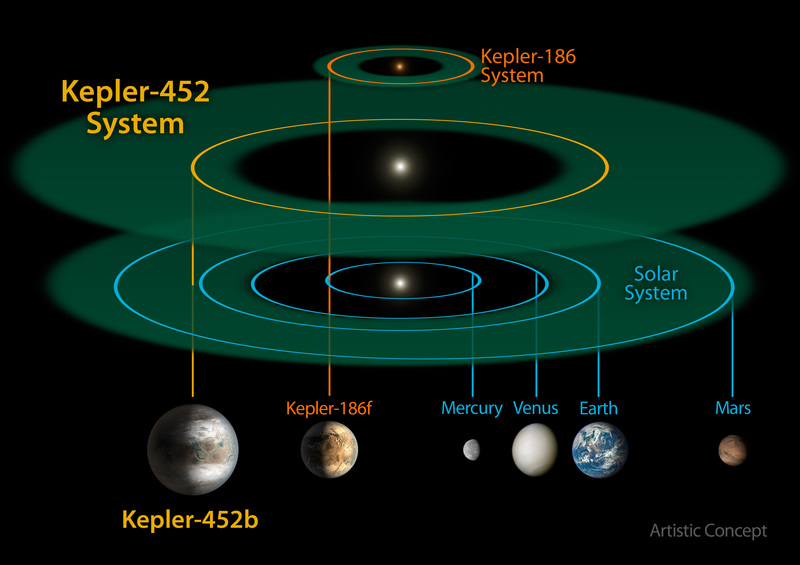 The Kepler-452 system is located 1,400 light-years away in the constellation Cygnus. 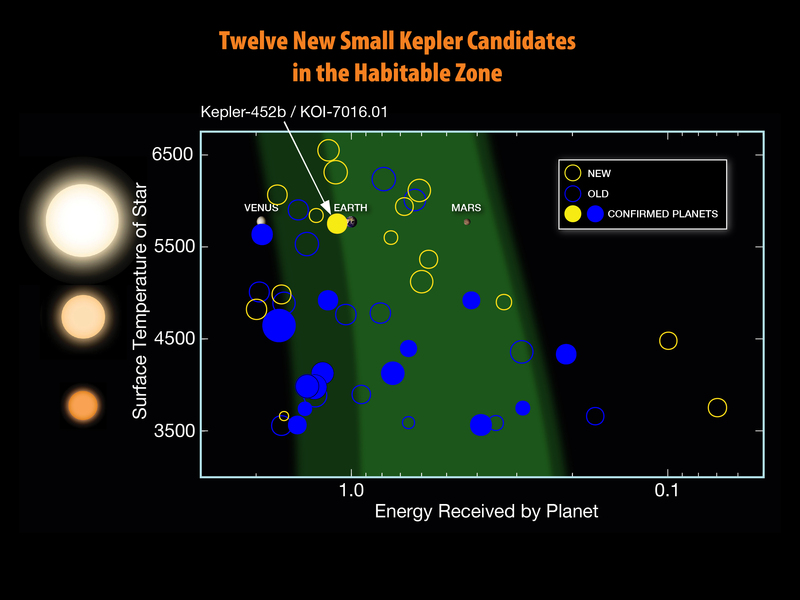 12 more candidated planets in the habitable zone!! 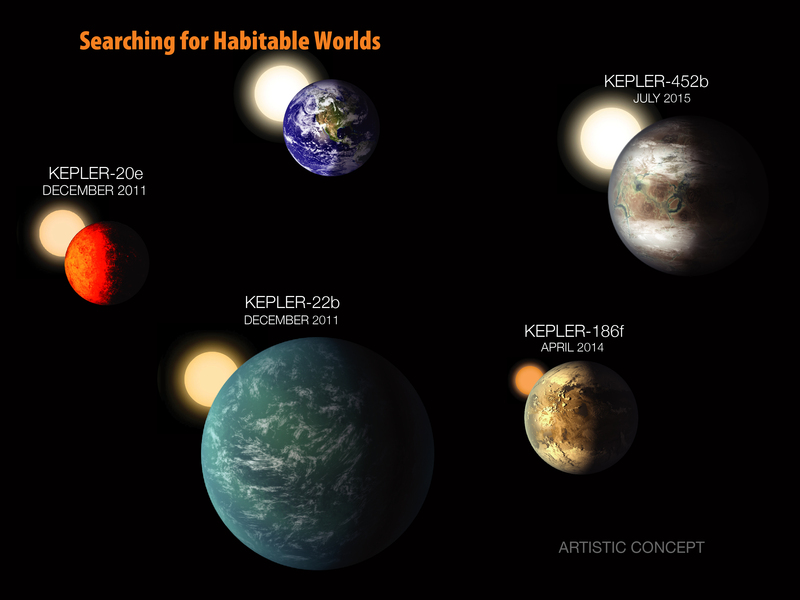 A newly discovered exoplanet, Kepler-452b, comes the closest of any found so far to matching our Earth-sun system. 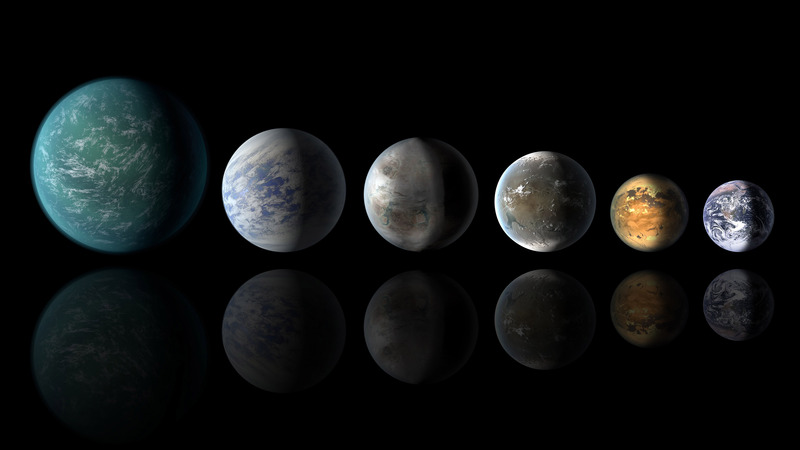 This artist’s conception of a planetary lineup shows habitable-zone planets with similarities to Earth: from left, Kepler-22b, Kepler-69c, the just announced Kepler-452b, Kepler-62f and Kepler-186f. Last in line is Earth itself. Great news! Now I hope it makes it into next SE 0974 patch. With all those discoveries in the range of +-1000LYs there is a solid reason for development of FTL travel tech. However I think FTL technology is practically impossible with our current tech level. practically impossible with our current tech level. Most probably impossible forever, but one can dream. nhaa you should have hope. the ancient people also said its imposibble to land on the moon...and look where are we now. Well, if you asked those people why they said it is impossible to land on the Moon, you'd probably get an Aristotelian-logic kind of answer, not one based on physical laws and mathematical arguments. There is no physical law preventing us from going to or landing on the Moon. But there is a physical law which prevents going faster than light (at least in special relativity, without GR weirdness). Maybe if Alcubierre space-time distortion is proven possible, the stars will then be open to us. We could still make our way to the stars without going faster than light, it'd just take a few centuries at a realistic speed. I'd be surprised if humanity doesn't start sending out probes at the least at some point in the next few centuries, and I'm sure eventually some kind of generational or hibernation vessel will ferry humans out as well.